Apple found the solution to long lines in stores years ago. Why are so few retailers following suit? Kmart began running its Christmas ads right after Labor Day. Around the same time, a huge Christmas tree was spotted at a Bay Area Ikea. Hobby Lobby had its Christmas decorations up in August. Clearly, some retailers are taking no chances this holiday season. However, their efforts might be counterproductive. "What consumers bristle about is feeling like it’s shoved down their throat," says Kit Yarrow, a retail industry consultant. That’s not the only way that retailers have failed consumers. Thanks to years of incessant advertising, Black Friday now starts on Thanksgiving Day. Meanwhile, smartphones haven’t really helped consumers avoid much of the hassles of shopping. With no breakthrough in sight, the 2015 holiday season looks to be a transitional one in which the promise of omnichannel retailing — being able to order and fulfill orders in-store or online — remains elusive for most. The 120 days of Christmas? Despite advertisers’ incessant campaigning, most people aren’t shopping any earlier. There’s a large minority of consumers — 40% according to the National Retail Federation — who buy all their holiday gifts before Halloween. That number hasn’t budged in 14 years. Instead, the Christmas Creep has claimed one major victory: Black Friday has moved back a few hours. L2, a retail analyst, has tracked such spending and found that in recent years, a wave of online buying hits the East Coast shortly after dinner and then runs through the rest of the country. They’ve managed to move it ahead a day or so," says Yoram Wurmser, an analyst with eMarketer. "The real spike is happening on Thanksgiving day." Though consumers are buying online, most don’t like it when retailers open their doors on Thanksgiving Day. 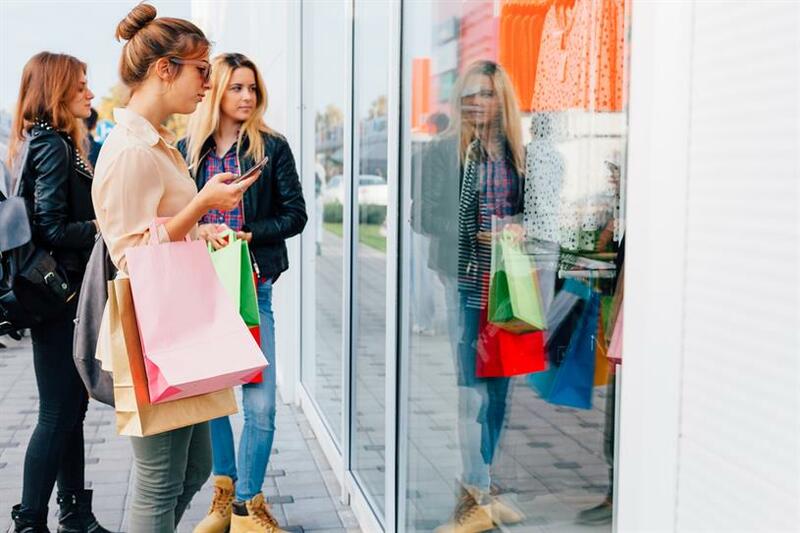 RichRelevance, a data personalization and technology company, recently polled 1,000 U.S. consumers and found about 65% dislike or hate the trend of opening stores on Thanksgiving Day. Only about 13% said they "loved" it. Depending on the source, online holiday sales are either poised to hit 50% or are still in the single digits. However, no one is claiming that most sales are occurring online. The NRF reports that 44.1% of shopping occurred online last year. This year the figure is 46.1%. That’s at odds with figures from eMarketer, which found that only 5.9% of products were purchased on the Internet in 2014. Wurmser says the figure for holiday sales is more like 9%, but that includes all retail, including food and gas stations, so it offers a skewed perspective. Yarrow says that most people still like to go to a store, where they learn things about products. "People need to touch things and feel things and try them on," Yarrow says. "Gifts fall into that category. When you’re buying something for someone else you’re usually not familiar with that category." At this point, consumers use their mobile devices mostly to browse. A recent Adobe survey found that 51% of shopping visits will occur on mobile, though mobile only accounts for about a third of online purchases. According to a recent Gallup poll, just 11% of consumers use their smartphones to make purchases. That means the bulk of those sales are occurring on tablets, which are mostly used at home. While consumers aren’t using their smartphones so much for sales, they are employing them as research tools, just not in the way they did in the past. Showrooming, the practice of checking out merchandise in store and then buying the items online, is less of a factor than it was a few years ago. A 2014 IBM study found that about 8% of customers showroom and 30% of online purchases came from showroooming in 2013, versus 50% in 2012. In fact, a counter trend has emerged — webrooming — in which consumers buy in brick-and-mortar stores after researching an item on their smartphone. Since most consumers are buying offline, that means they’re dealing with the same perennial holiday season annoyances that always plagued shoppers. According to the the L2 survey, the No. 1 frustration is long lines.. Another hassle is visiting a brick-and-mortar retailer and finding the item you’re looking for is out of stock. Given the advancement of technology in recent years, both are avoidable. For years, Apple Stores have given sales associates the ability to let consumers buy items without waiting in line because the stores’ sales associates carry iPads that are able to execute these transactions. Despite the popularity of this technique, it’s still the exception rather than the rule. A few retailers including Nordstrom, Barneys and Ann Taylor offer this service, but most retailers don’t. "It’s just a matter of legacy infrastuctures and training," says Diane Kegley, CMO of RichRelevance. "You’ve got to have Wi-Fi in every store, you have to create the technology and user interface and you have to get store associates up and running." In a promising development, Walmart, Best Buy and Macy’s now offer the ability to showroom a particular item and see if it’s in stock at a nearby store. Since L2’s research show that the main reason holiday shoppers visit a store is to get an item without having to wait for (or pay for) shipping, that could eliminate one major shopping hassle. Kegley says that for whatever reason, US retailers have been reticent about drawing attention to hassle reduction, even when they have compelling services like in-store pickup. In this case, UK retailers seem to be ahead of the game. "So many of them fail to promote that service," she says. "When we look at retailers in the UK, it’s a totally different experience. You can’t walk past the shop windows on the High Street in London without seeing a ton of signage." Where will Millennials spend their Black Friday dollars? Can Toys 'R' Us bring discipline to toddler unboxing videos?